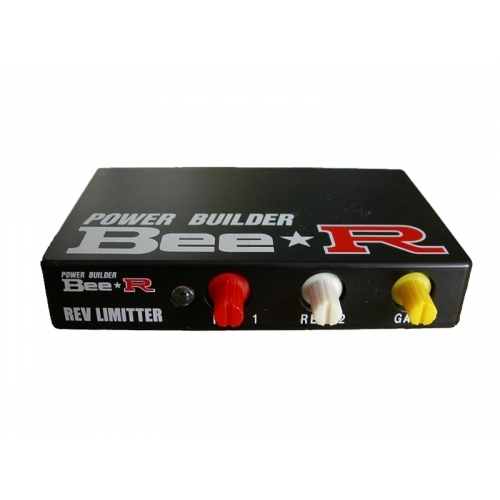 The unique REV LIMITER from Power Builder Bee Racing is a device where a driver can use to prevent a vehicle's engine from being over rev. All parameter adjustments on this device can be made on the fly from the driver's seat. This REV LIMITER is achieved by cutting off the ignition at a preset RPM limit, and by re-routing a fuel dump. An aural feedback of back fire popping sound from the exhaust muffler is the result followed by a fantastic visual of fire coming out from the exhaust muffler tip. This aural & visual feedback are very similar to those experienced in the fully race-tuned race cars . The rev limiter in the vehicle is controlled by the factory ECU by instructing the fuel pump to immediately stop the fuel supply to the engine. Such immediate forced fuel cut is not advisable if it happens frequently as it has damaging effects to the engine in the long run. On the other hand, with Power Builder Bee Racing's REV LIMITER, it actually cut off the engine ignition without stopping the fuel supply to the engine. With this function, over rev limit damage to the engine is prevented, and is a safer way in the long run when the engine is over revved past it recommended RPM limits. The visual effect of having fire spitting out from the exhaust muffler every time there is a rev cut when the REV LIMITER is installed is not guaranteed by Bee Racing. This is due to the fact that fire would only result during high engine revving, and when the exhaust muffler is warm up, and also when the vehicle exhaust system is without a catalytic converter. Basically, the unrestricted vaporized fuel supply when ignition is cut off is lighted off when it mixes with the air from the engine air intake in the hot exhaust system. The hot temperature from the exhaust system is the catalyst that ignites the air-fuel combination in the absence of the ignition sparks. REV-1: To set up standard RPM. REV-2: The white wire connection set up the RPM readings that corresponds to the side brake switch signal. It works using an external switch. It switches off the engine by inputting a negative signal. GAIN: Controls the engine RPM cut off setting. For example, o is off, and 1 ~ F is the adjustment range. The standard initial setting is 6. The Bee*R Rev Limiter is a 2 stage rev limiter. There are two rev limits allowed in increments of 500 rpm. The controller cuts the ignition instead of cutting the fuel. On a high power car, cutting fuel can damage an engine as it could lean out the engine and cause detonation. The 2 stage rev limiter cuts ignition to allow normal fuel operation while limiting the rpm at the set limit. The controller can be used to aid in launching the car from a standstill. The lower rev limit can be activated by using a switch such as a handbrake or a monetary switch and returns back to rev limit 2 for normal operation when released. Your launches will become quicker and more consistent. There is also a gain setting as it will change the frequency the controller will cut ignition creating different sounds and flames out of your exhaust.